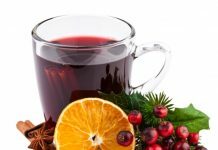 Considering campfire starters is an essential step for any seasoned camper, as building a campfire is a mean task, particularly if you are inexpert. 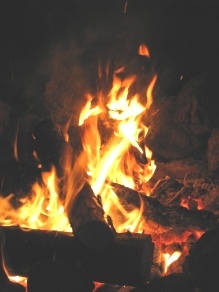 Make it as effortless as possible by choosing good campfire starters. 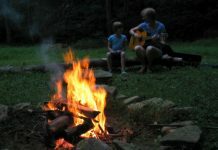 Most hikers and campers use matches or lighters to build a campfire. Make sure you carry waterproof matches even if you are camping in desert because a leaking water bottle can ruin your fire-building efforts. The other disadvantage of using matches is that they break easily. 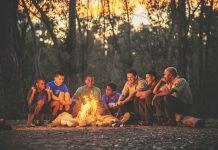 For inexperienced campers, it takes several matches to start a fire, which is especially problematic for campers on long trips, so make sure you have plenty of matches. Lighters can also have disadvantages because they can break or be affected by bad weather. 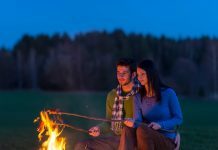 Therefore, you need to choose good, portable, lightweight campfire starters that work in any condition. Magnesium fire starters are a good option because they are small and can fit in your pocket. They are suitable for ultra-light backpacking and are not affected by bad weather conditions such as high temperatures or a humid environment. 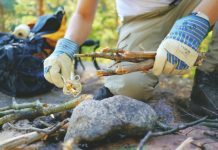 It is always a good idea to get some fire-starting materials to take with you on your camping trip, such as cotton bolls soaked in petroleum jelly in a zip-lock bag, wood shavings as well as lint.